30 October 2018: The most popular massively-multiplayer online role-playing game Old School RuneScape launched today on mobile devices, both Android and iOS. 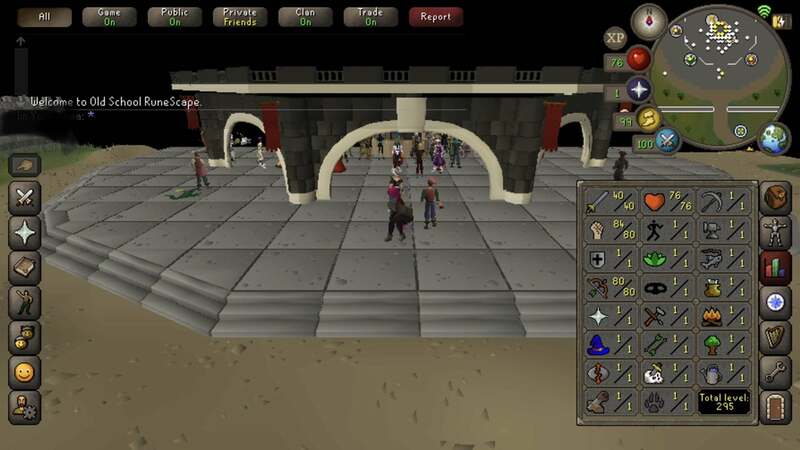 The OSRS mobile application features crossplay with PC delivering RS2007 players the same experience regardless of platform. OSRS mobile top-level interface is refined and optimized for mobile devices. There’s also a customizable, one-touch action button and intuitive touch-screen controls. All Old School RuneScape players — both existing and returning — have long wanted to play the game they love while away from their PCs. The OSRS Mobile is open to both members and non-members. Anyone interested in playing Old School RuneScape on a mobile device (smartphone or tablet) can now download the OSRS mobile application from Google Play or the App Store. The game requires Android Lollipop or iOS 10 and above. This entry was posted in Latest OSRS News, Old School RuneScape, OSRS Mobile App and tagged buy old school runescape item, buy osrs items, buy runescape gold, cheap OSRS gold, old, Old School RuneScape application, oldschool runescape, OSRS mobile app, sell rs2007 gold. Bookmark the permalink.